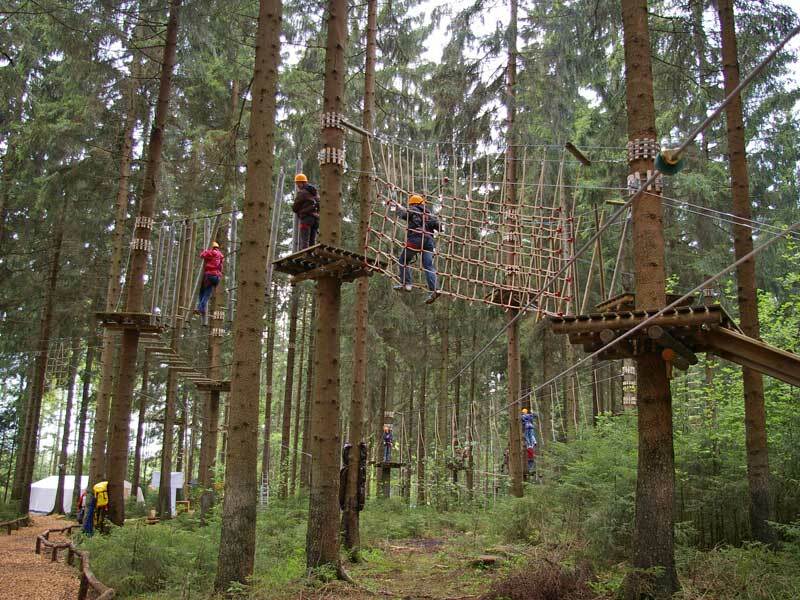 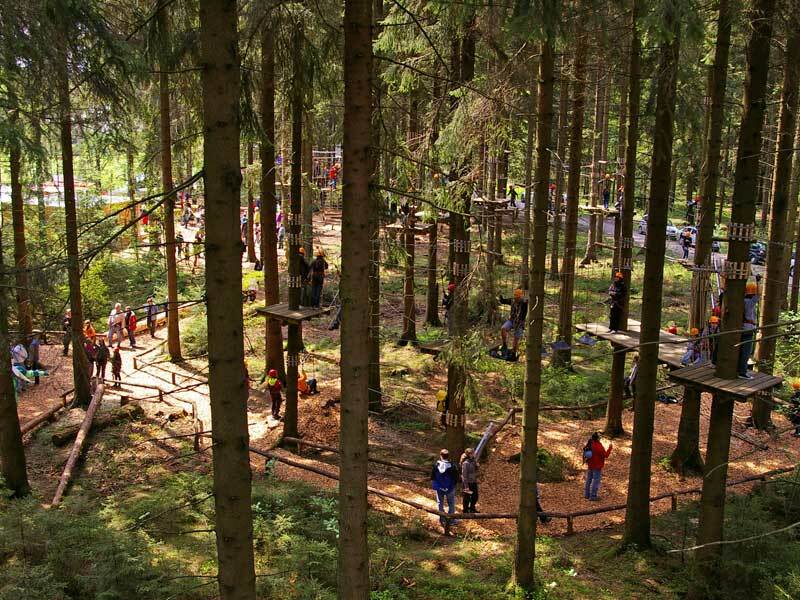 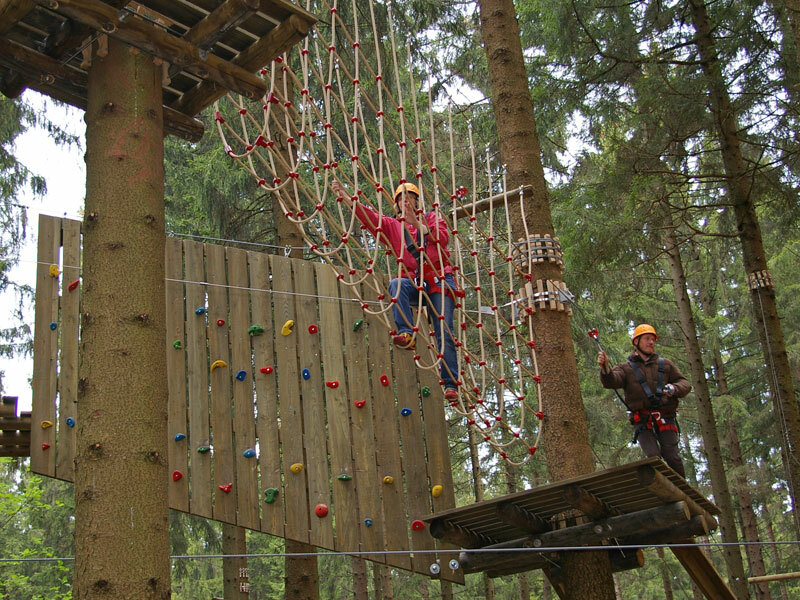 ‘Tree Rock’ is the second of four rope courses we were asked to construct by Schattenspringer GmbH from Bielefeld. 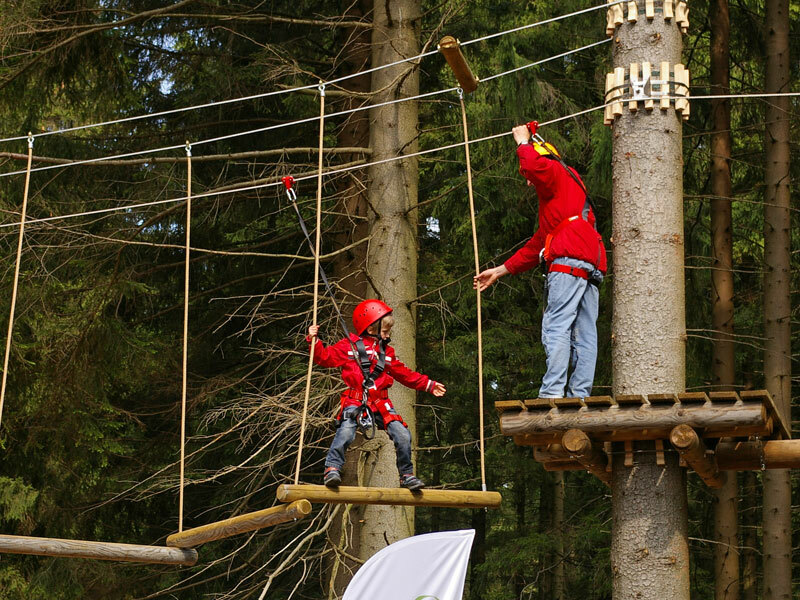 We conceived the climbing courses ensuring fun for the whole family, and in summer of 2010 it was built in an idyllic forest in the Weserbergland. 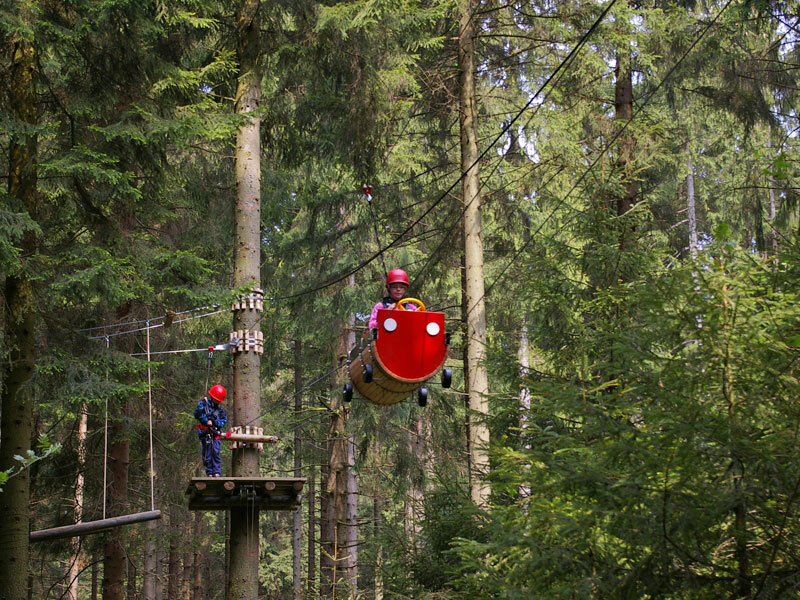 The continuous safety-system EVO adventure (Bornack) offers the participants the highest safety standard to climb the 59 elements spread over six parcours. 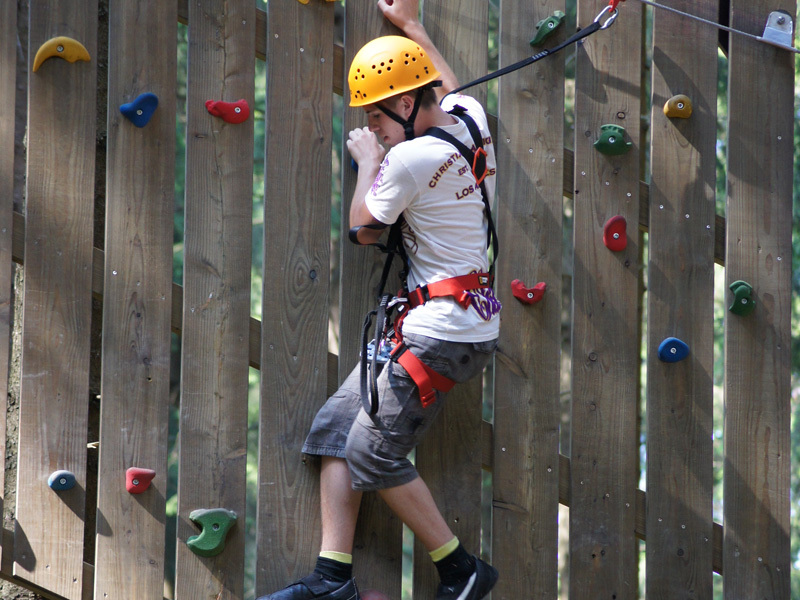 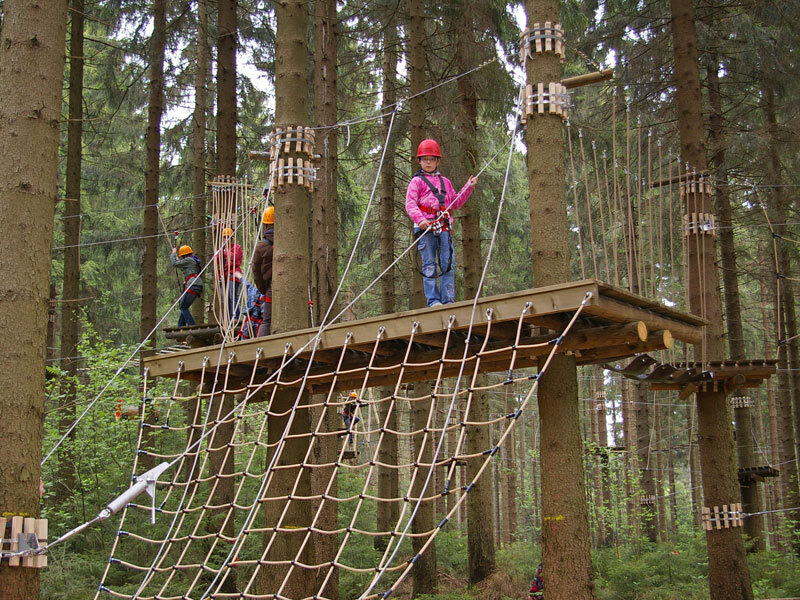 Directly beside the Adventure Park there is the ‘MiniRock’; two parcours with twelve elements of worry-free climbing for kids between 3 and 10yrs old. 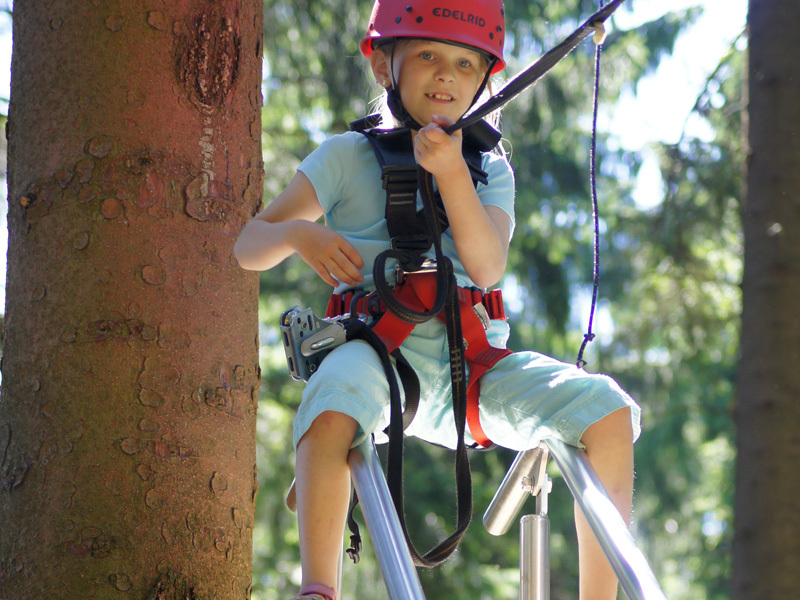 Kitted up in the same way as the adults in ‘Tree Rock’, the EVO adventure (Bornack) optimises safety with their continuous safety-system.